Revolution in Tuscany! In the small town of Lari, near Pisa, the legendary Martelli family started making pasta in 1926. For the past 77 years, they have only been making 4 shapes of pasta (Spaghetti, Spaghettini, Maccheroni and Penne). In 2013 they added a new shape of pasta: FUSILLI. Thick, corkscrew shaped pasta. They’re called “Fusilli di Pisa” because their shape was inspired by the Leaning Tower of Pisa… click here to read more about it in our newsletter; and to sign up for our newsletter type your email address into the white box at the top of this page and click submit (don’t forget to confirm your subscription!). Ciao! How exciting! 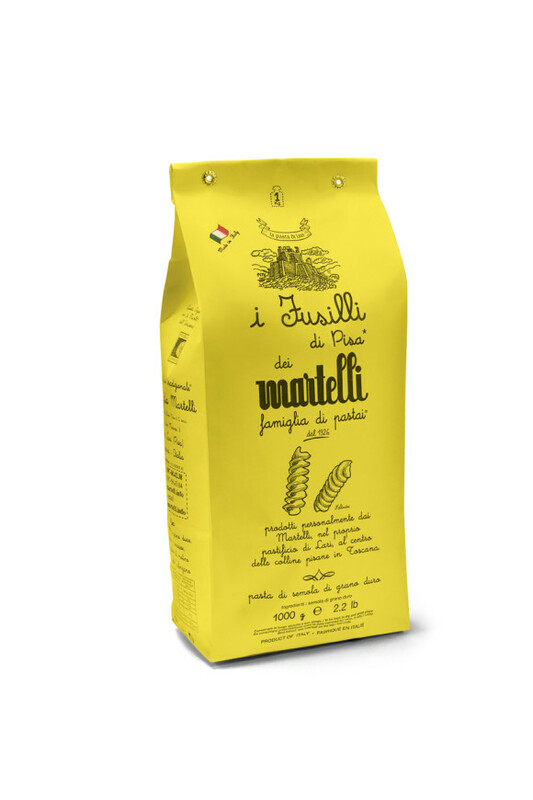 I have been eating Martelli pasta for years and cannot wait to try their new shape..